Additionally, I made decent progress on The Other Side of the Moon by Meriol Trevor, but I kept getting distracted by questions about what we did and did not know about the moon in 1957 when the book was published. There are some really odd details in the story and I was having trouble sorting out what was the author taking poetic license with known details and what was the author just making things up. 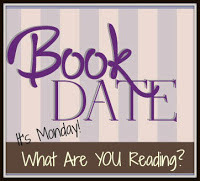 I will definitely finish the book this week, but it might not be as quick as I originally anticipated. Mid-week, I started reading Coughing in Ink: The Demise of Academic Ideals by Philip Lawler. (After I read a couple of chapters, my husband pointed out that the author's wife is "Auntie Leila" from Like Mother, Like Daughter. I should have realized that, but didn't!) In the book, Lawler describes what he sees as the flaws in academia and how he believes they came about. I have never thought of myself as an academic largely because I hate academia, so this book definitely has my sympathy. So far, the book talks a lot about university protests and how they have changed campus culture. There are some things discussed that are very relevant to our current political climate, which is comforting in some ways because if we have been here before and survived it, then we probably will again. But it's also distressing to know that there have been these unpleasant undercurrents running beneath our culture my entire life. Either way, this is a good read. I'm taking it slow as is my typical approach to adult non-fiction, but I hope to have it done within the week. Finally, I decided to start another adult novel. 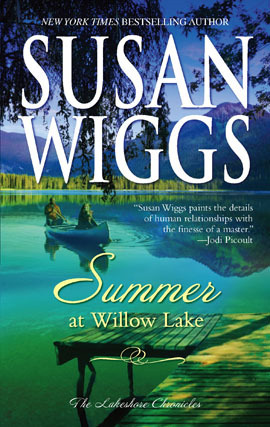 After searching the local libraries' various ebook collections, I settled on a contemporary romance: Summer at Willow Lake by Susan Wiggs. Winter books were great during the holiday season, but now I'd rather think about summer camp, so this book appealed to me right away. I also like that it flashes back and forth in time between main character Olivia's present-day life and her experiences as a teen at camp. I'm not sure yet that I like the hero of the story, the boy with whom Olivia had a relationship at camp who comes back into her life just after she has been dumped, but I'm only two chapters in, so he has time to win me over. I do like Olivia, and that is often not true of the women in "chick lit" books, so I plan to stick with it. The only Marilyn Sachs I've read to date was The Fat Girl. It was kind of dark and twisted, but satisfying. These look much more wholesome. 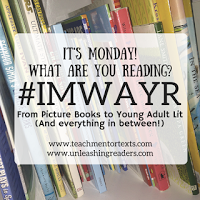 Happy reading this week. I haven't read any of the ones you have listed. I'm adding them to my "check into" lists. Thanks for sharing! Hope you continue to enjoy the Susan Wiggs book, have to say love her books and have enjoyed all her contemporary ones, not so keen on the historical.